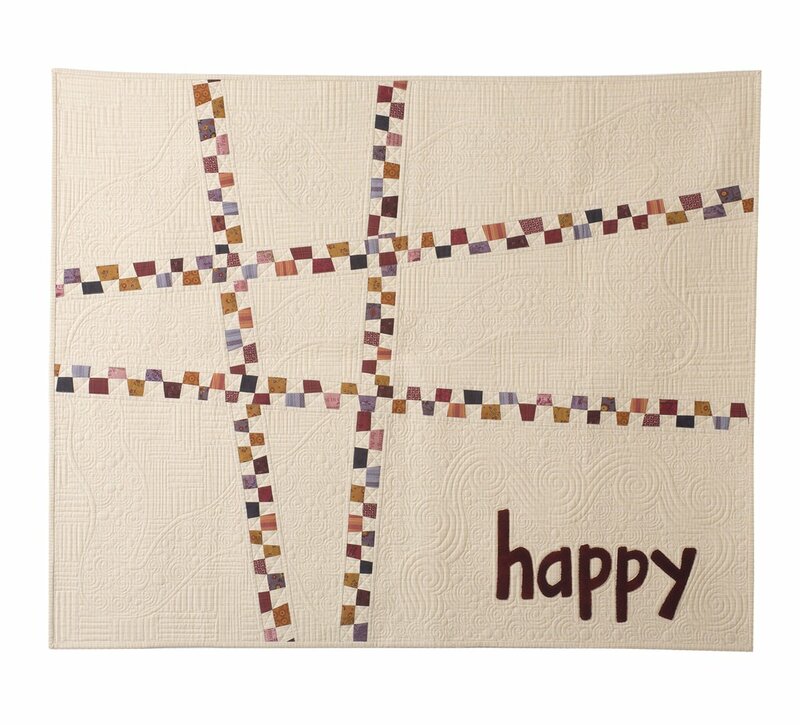 #happy quilt kit from the book Crazy Kind of Wonderful (purchased separately) by Janet Rae Nesbitt of One Sister features crazy pieced checkerboard sashing with appliqued wool "happy", or your favorite phrase or name! This quilt is pieced using a variety Janet's fabrics from Henry Glass. Finished quilt size is 46" x52".